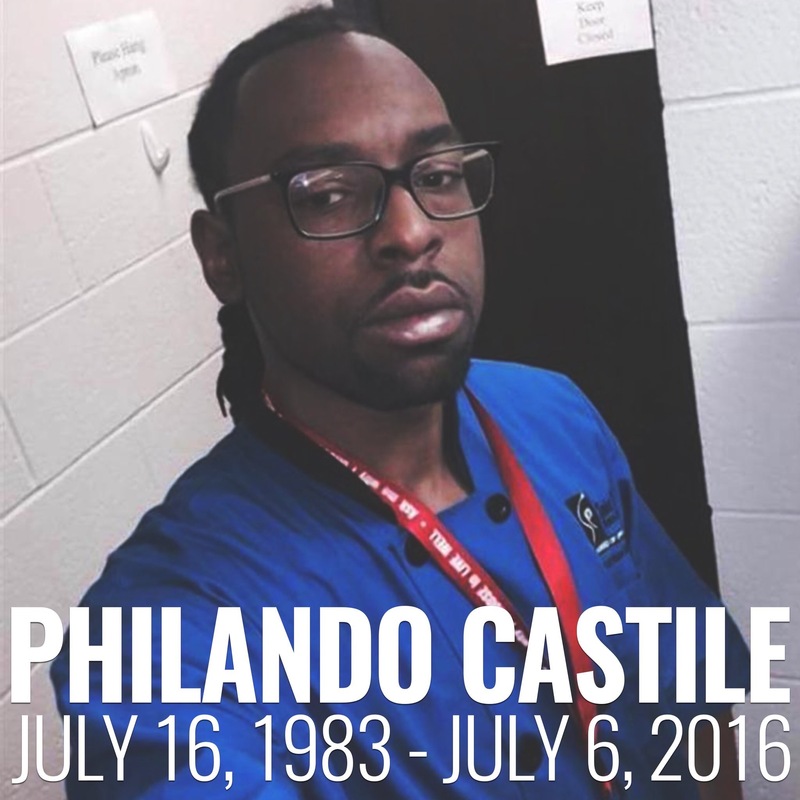 We demand JUSTICE for #PhilandoCastile! After five days of deliberations, a jury has found a Minnesota police officer not guilty of all counts in his deadly shooting of a black man during a traffic stop last July in Falcon Heights, a suburb of St. Paul, Minn.
That black man was 32 year old cafeteria worker, Philando Castile, who was driving home with his girlfriend and 4 year old daughter when police Officer Jeronimo Yanez pulled them over. “Seventy-four seconds after Yanez activated his squad lights, he fired the last of seven shots into the car,” Minnesota Public Radio’s Matt Sepic reported. Castile’s Girlfriend, Diamond Reynolds went live on Facebook during the deadly shooting. Clips from the video are below. Beware because it is gruesome. Many are outraged at this outright injustice, including myself. When is enough, enough? This is not even close to the first time a police officer has killed a black person and got off with no repercussions and no justice. And (!!!) this is a partial list. Now, talk to me about how All Lives Matter. I’ll wait. The above list was shared on Facebook and is only the shortlist of black people killed by police officers in recent years. It is a damn shame that this is happening over and over and the police officers 👮 are getting off. I posted this tweet earlier this evening and I believe it with all my might. Had Philando been white, we wouldn’t be talking about this right now because he would have made it out of the car alive. 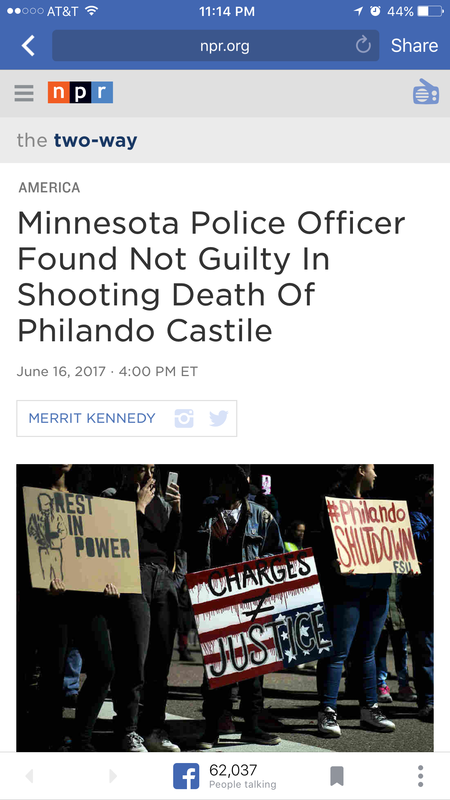 I truly believe Philando was murdered. Point. Blank. Period. Someone please tell me what he did to be shot in front of his girlfriend and her young daughter? Comply? Be polite? Tell the officer upfront he had a gun? And where the hell is the NRA in all of this. No comments, not a peep from them…Go figure! The world watched the murder of #PhilandoCastile in real time yet his killer was not convicted. This is what oppression looks like. Currently, on the evening of the jury’s decision, Many people are marching in memory of #PhilandoCastile and for justice in Minnesota. People marching in memory of #PhilandoCastile in Minnesota. People need to speak up and stand up against injustice all the time, not just when it’s a trending hashtag. Justice must be demanded and we must not back down. 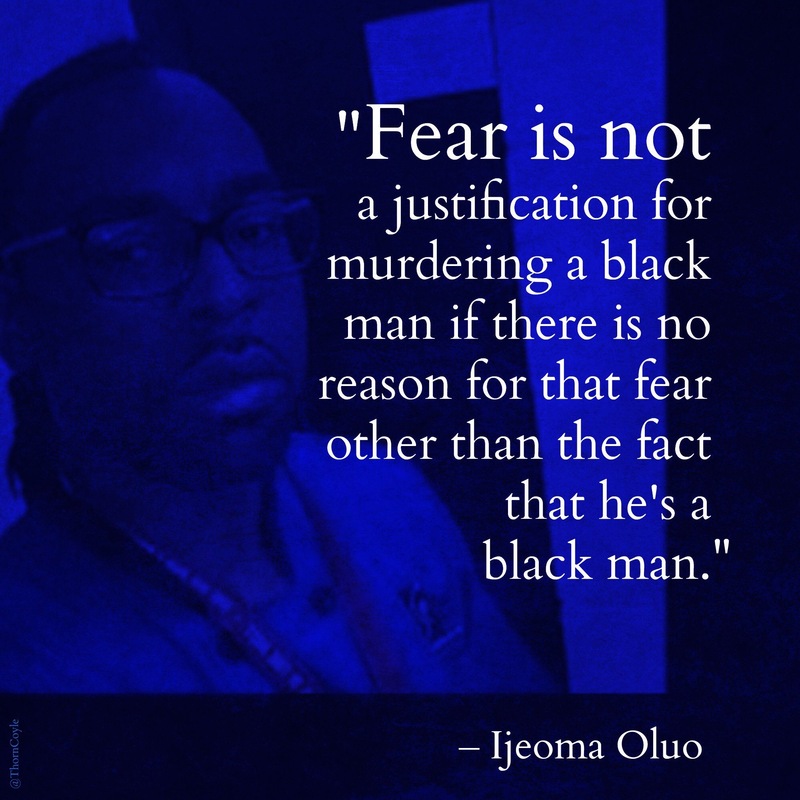 Moving forward, what are your thoughts on how we can handle/prevent racial injustice from happening? Any ideas on how we can come together to make a change in the future? Comment below. It’s in our hands now because the justice system is broken and one-sided.